Jacobs, the photographic distributor, is offering special hands-on days with the brand new Panasonic GX1, the latest compact system camera from the company. The camera itself doesn't go on sale until mid-December, but several days have been organised in the London, Leicester and Edinburgh branches of Jacobs to give customers the opportunity to ask questions, find out more about the camera and most importantly have a go at using it. Panasonic announced the GX1 on Monday, and is the pro version of its GF line that had been anticipated for several months. 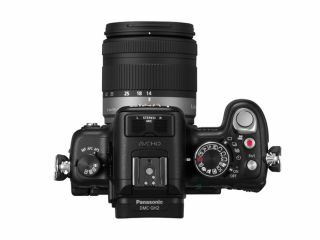 It features a 16 megapixel Micro Four Thirds image sensor, a touch screen for Touch Focus and a wide range of advanced features, designed for creative shooting. The Panasonic GX1 can also be paired up with the new 'X' lenses from Panasonic, including the 14-42mm which automatically extends and retracts. The Panasonic Lumix GX1 UK price will be £499.99 body only or £599.99 with the 14-42mm standard kits. Available from mid-December, you'll have to wait another month for the GX1 to be available with the 14-42 'X' lens kit, which will be available for £729.99.